Collins Primary French Dictionary, previously known as Collins First Time French Dictionary and Collins Primary Illustrated French Dictionary has been designed specifically to meet the needs of children learning French, especially at Key Stage 2. Core vocabulary is covered in detail with simple examples to illustrate usage, key phrases highlighted, and carefully selected illustrations. Topic pages at the end of the dictionary give additional vocabulary on various useful subjects for pupils and teachers. This dictionary has been designed not only to appeal to children and their parents, but will also be useful for teachers who may be faced with the challenge of teaching French for the first time. 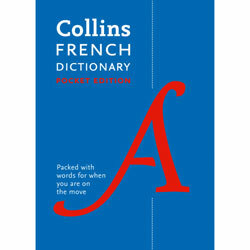 Attractively presented in an easy-to-use format, and with the use of colour for even greater clarity, the Collins Primary French Dictionary has to be the ideal first bilingual dictionary. 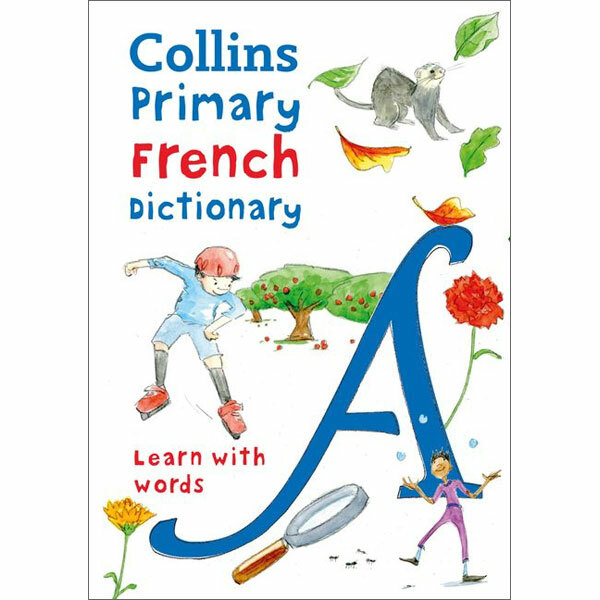 An easy-to-use, vibrant, colourful dictionary provides the perfect reference for the new curriculum with detailed coverage of core English and French vocabulary. 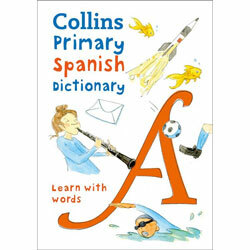 Themed pages, fun and quirky illustrations with simple examples help children to remember words and translations. Key phrases are highlighted, offering all the support needed for children to study the new curriculum. 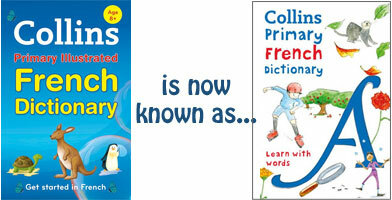 Collins Primary French Dictionary has been developed for children aged 7 - 11 (Key Stage 2) who are learning French.